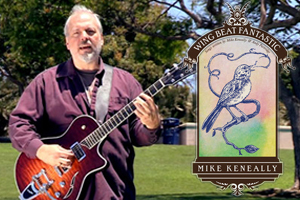 Mike Keneally Announces Wing Beat Fantastic Tour with Rick MusallamAcclaimed recording artist and performer Mike Keneally is celebrating the release of his magical new album, Wing Beat Fantastic, by scheduling a series of intimate duo performances with musical compatriot Rick Musallam.Wing Beat Fantastic is the highly anticipated result of a songwriting union between the famed rock experimentalist and legendary XTC tunesmith Andy Partridge.The smart and melodious album is garnering rave reviews worldwide.Of their successful partnership, Partridge remarked, “I didn’t know how any of the tunes we’d agreed to write together were going to come out, but I know one thing, SO musical is this man that him just sitting with a guitar across his lap or perched at a keyboard pulled things from me that I can honestly say ‘I don’t know where they came from. '””The chance to work with Andy was absolutely a mind-blower for me,” Keneally said. “His songwriting gift is still as strong as ever, and I’m fiercely grateful to be able to help bring new Andy Partridge music into the world.””This tour will be a good opportunity to take some songs from my past repertoire, and stack them next to these new songs I’ve written with Andy,” mused Keneally. 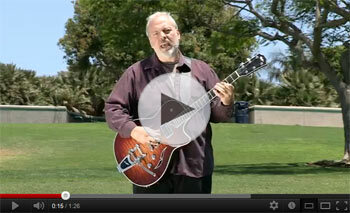 “We’ll be focusing on a lot of my most melodic and accessible tunes — hopefully with just enough of the fancy technique stuff to keep that portion of the audience satisfied!”Long acclaimed as one of the world’s most creative and intense guitar and keyboard players, Keneally’s talents as a vocalist, songwriter, arranger, producer and multi-instrumentalist are nearly unequalled in rock music. He has released over 20 albums of his original music since 1992, and has built a body of work of remarkable inventiveness and originality.Keneally played in Frank Zappa‘s last touring band, performing as a vocalist, guitarist and keyboardist. He’s appeared on many Zappa albums, is currently a touring member of Dethklok (as a guitarist) and the Joe Satriani Band (as a keyboardist), and has also recorded or performed with Steve Vai, Robert Fripp and many others.